BESSEY<sup></sup> heavy-duty bench vises are made from high quality 30,000 PSI grey cast iron for many years of service. Many models have swivel bases. 360 degree swivel base with two lockdowns. 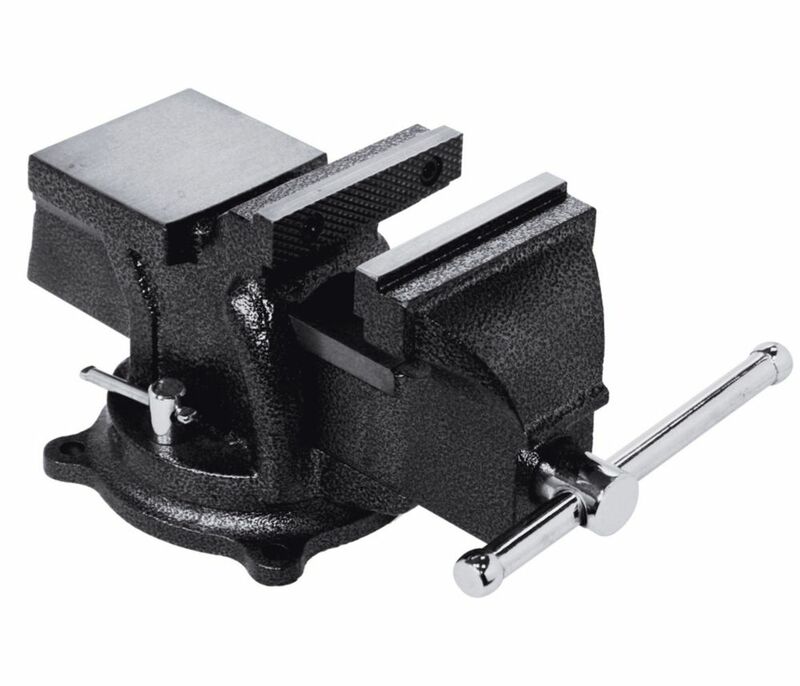 4 Inch Heavy Duty Bench Vise with Swivel Base BESSEY<sup></sup> heavy-duty bench vises are made from high quality 30,000 PSI grey cast iron for many years of service. Many models have swivel bases. 4 Inch Heavy Duty Bench Vise with Swivel Base is rated 4.4 out of 5 by 66. Rated 4 out of 5 by HomeDepotCustomer from Great bench vise for a home workshop. ... Great bench vise for a home workshop. Rated 5 out of 5 by Justin from At the price point it is a very nice vise! At the price point it is a very nice vise! Rated 5 out of 5 by HomeDepotCustomer from Decent priced, heavy duty bench vise. I mounted the vise on a scrap board to make it portable and... Decent priced, heavy duty bench vise. I mounted the vise on a scrap board to make it portable and then used C clamps to fasten to the work bench to use and then remove when not in use. No mounting bolts are included (minor) and the bolt size is 5/16 with washer and nylon nut. It's perfect for cutting pinewood derby cars with a handsaw. Rated 3 out of 5 by Robert from On me it was smaller than I expected to replace... On me it was smaller than I expected to replace my old vise but probably is enough for my needs. Takes up little room and will work for most household needs. No hammering or heavy vise bending. Rated 4 out of 5 by H2UMovers from It was perfect and pretty durable. It was much smaller... It was perfect and pretty durable. It was much smaller than my old one and fit on my bench well.